"Friendly Fridays... Master Model Railroader 555." Bill Brown, the chairman of the Achievement Program for the NER/NMRA, recently mailed a package to me that was a pleasure to receive. 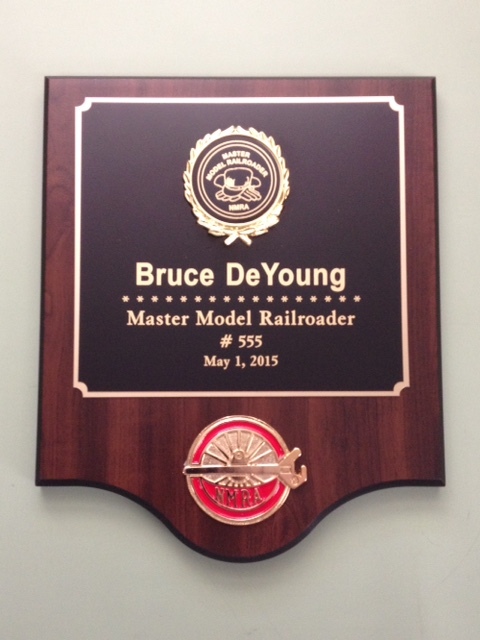 It was a plaque for the Master Model Railroader designation. Knowing that this was the closest I would ever get to one of these, I allowed myself a moment to fantasize. I had not applied for the prestigious award, but perhaps in our everybody-gets-a-trophy world, mine was a watered-down version based on the NMRA's overly optimistic interpretation of my potential... or maybe it was for this blog... Nah, I don't think so. And what about the inscribed name? Tough to make a case that it was just badly misspelled. "Boy, did spell-check do a number on this," I could say to visitors to my basement. In truth, I am to present this to the newly elected president of the Garden State Division, Bruce DeYoung, at our board meeting this weekend. 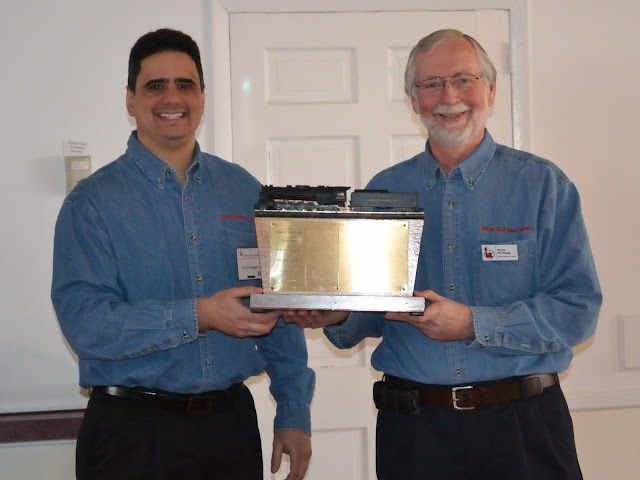 Bruce received recognition last month at our joint meet with the New Jersey Division along with their Tom Griffiths. Now the actual plaque is available. 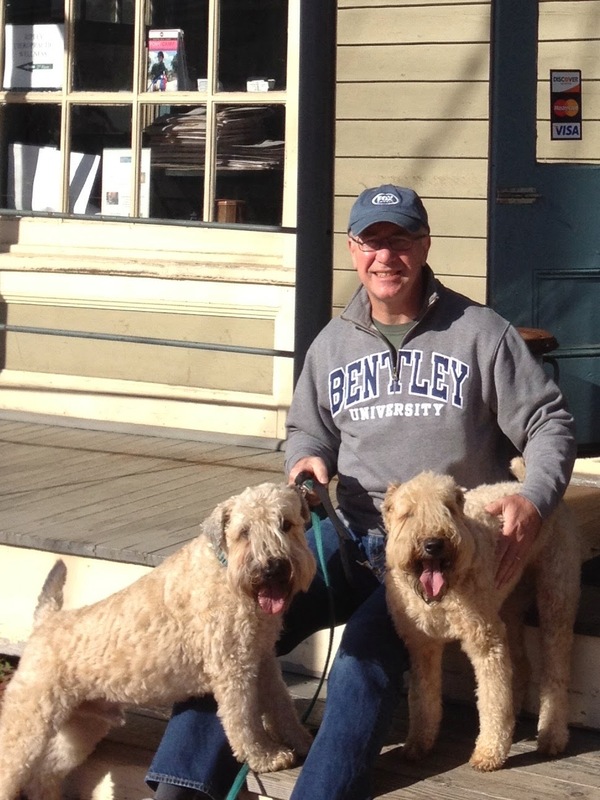 Bruce won the GSD's annual Paul Mallory award in 2013 for his modeling efforts. Here former president Ciro Compagno and Bruce do a different type of modeling, flaunting the division's natty, one-size-fits-all apparel. Bruce is passionate about giving back to the hobby. 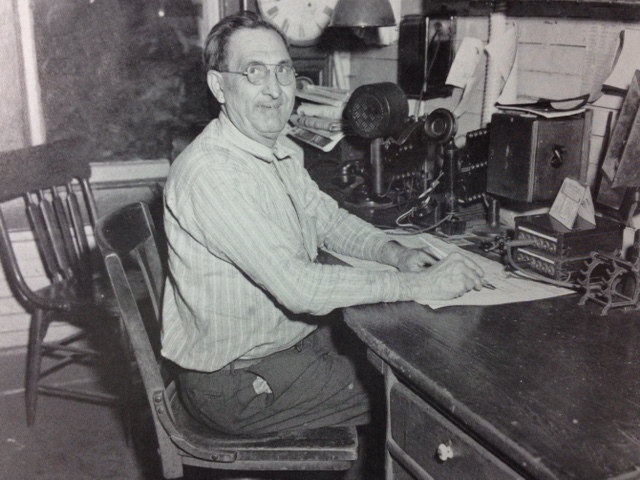 He is not only an administrator of Railroad Line Forums, but is its most prodigious contributor. He is also Education Department Manager for the NMRA and a regular clinician at regional and divisional meets. The AP program and continued education for hobbyists is dear to 'Dutchman' and nicely dovetails with his expertise as a retired school superintendent and former math teacher. His HO scale Jersey Highlands Railroad features the New York, Susquehanna & Western during the transition era. 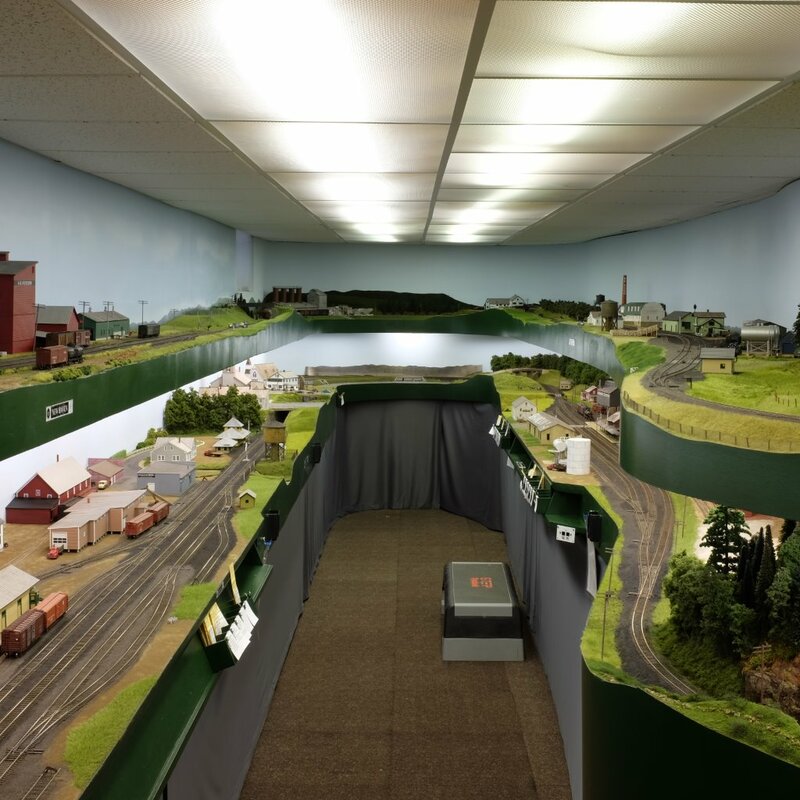 An area of the layout also depicts the HOn3 Slate Run Railroad, a logging operation in eastern Pennsylvania. But best of all, Bruce is one of the real good guys. Congratulations, buddy. You do the hobby proud. Wish we had more like you. "A most unfortunate anniversary of sorts..."
The historical reporting of Tropical Storm Agnes is almost as chaotic as the storm itself. 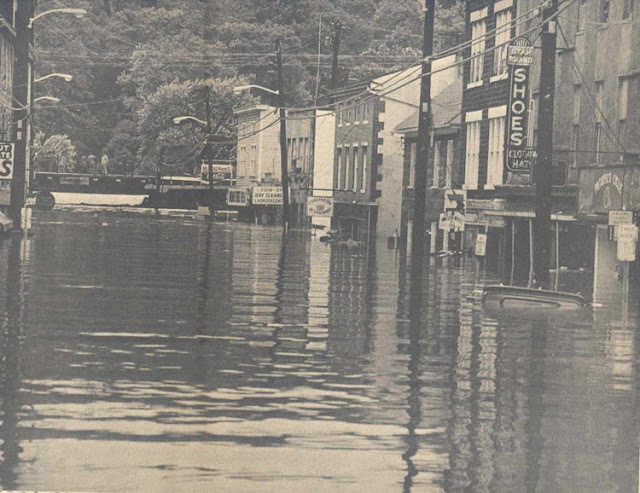 Depending upon various sources, the storm reached Maryland 43 years ago today... or yesterday... or Sunday. 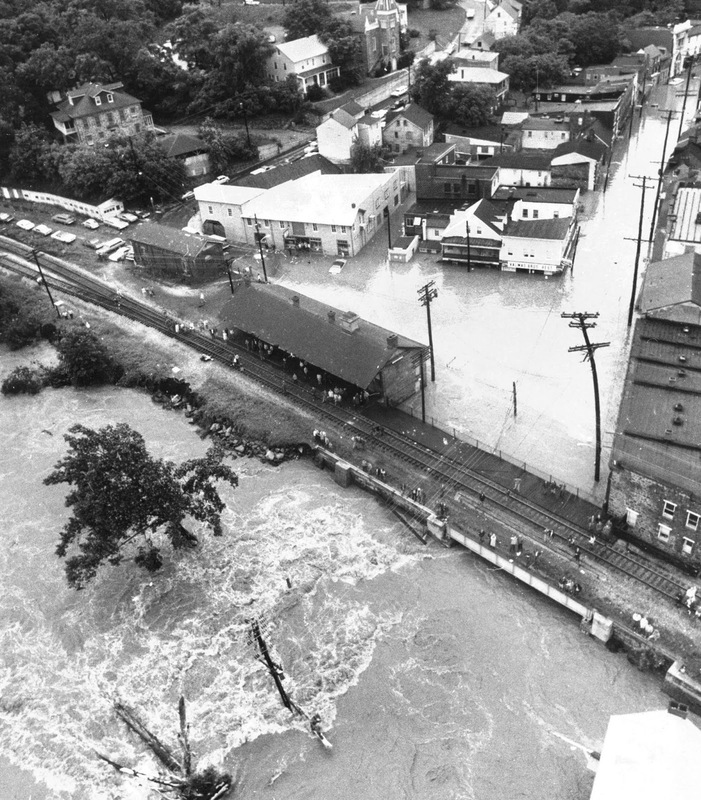 Perhaps the confusion is more about semantics, and the reporting of raining versus flooding, but regardless, the torrential storm pounded the Patapsco River region and the Old Main Line into submission, swelling the river and causing unprecedented damage from flooding. The weather system originated in the Caribbean as early as June 14th and reached U.S. soil June 19th at Panama City, FL. It was downgraded from hurricane to tropical depression as it crossed into Georgia and South Carolina, but inexplicably regained strength by June 21st while crossing North Carolina. The tropical storm headed north and would soon wreak havoc dumping 14-19" of rain within 48-hours upon parts of Maryland, Pennsylvania and New York. 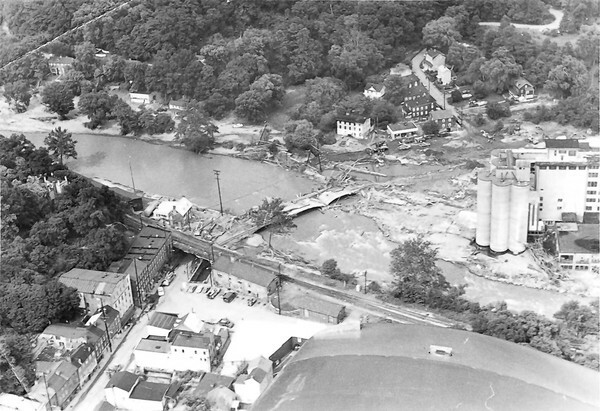 The destruction of Ellicott City is photographed from above. Maryland suffered 19 fatalities and $110 million in damage. Flood waters in downtown Ellicott City reached 14'. The railroad trestle is in the distance sitting just a couple of feet above the water. Curious residents climbed to the station area to see the raging flood waters once the heavy rains had ended. The lower portion of downtown is in the 100 year flood plain... Bingo! Debris from the Patapsco River clogged the trestle to the Wilkins Flour mill. The geography of the steep, narrow river valley created a funnel-like effect for towns in the lower region. 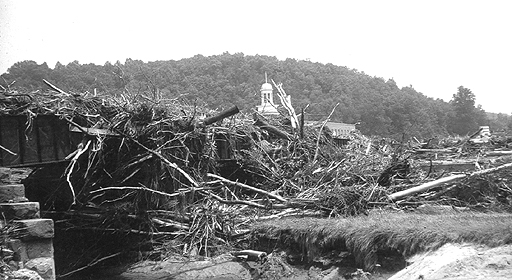 Once the flood waters receded, the aftermath was evident. If you visit Ellicott City today, you will find a 'measuring pole' right here that indicates the height of flood waters. The mill at Daniels peeks out over the debris at another trestle over the Patapsco River. According to reports, several workers were rescued from the rapidly rising flood waters by the National Guard via helicopter. They had climbed to the mill's roof! 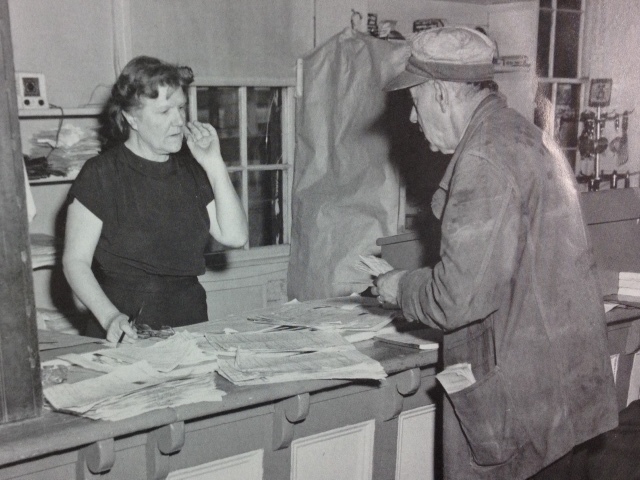 The B&O Historical Society devoted their second quarter 2012 issue of The Sentinel to the 40th anniversary of Agnes. The cover showed a half submerged tunnel at Point of Rocks near the Potomac River. The sight of uplifted and eroded track along the Patapsco River was commonplace, as shown here in Sykesville. Because the track closely followed the twisting river, the raging currents continually crashed into the embankments and undercut the roadbed, creating washouts sometimes up to 50' wide. While these type of weather-related tragedies seemed to have become almost commonplace during the last few years throughout the United States, Agnes was a significant weather anomaly back in 1972. Readers are reminded of the photo of a submerged Daniels in the very first entry of this blog. Take another look at the sheer magnitude of the flooding, and understand that it would trigger a series of events that would ultimately lead the Old Main Line to obscurity. On that note, we'll see everyone Friday with a special recognition, and then back to some construction next week. Childhood BFFs Randy Laframboise and Mike Sparks have been layout collaborators in one way or another for more than 40 years. Their current Rutland Road is their second iteration of the popular Vermont railroad. Begun in 1999, after the demolition of their first 15-year effort, the new-and-improved multi-deck prototype sits in a 16' x 36' finished space in Randy's basement. It features many of the small towns along the mainline between Rutland and Burlington and is set during late summer in the early 1950s. Entry to the main layout room is through a nicely finished support space decorated with vintage signs and posters. The room features a well-appointed workshop, generous staging and an attractive helix. The helix adheres to the layout's 36" minimum radius and is graded at 2% yielding a run of 100'. 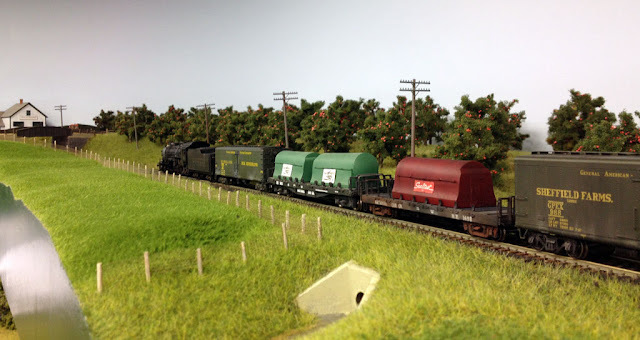 The layout itself provides a satisfying 285' of run through the rolling countryside. 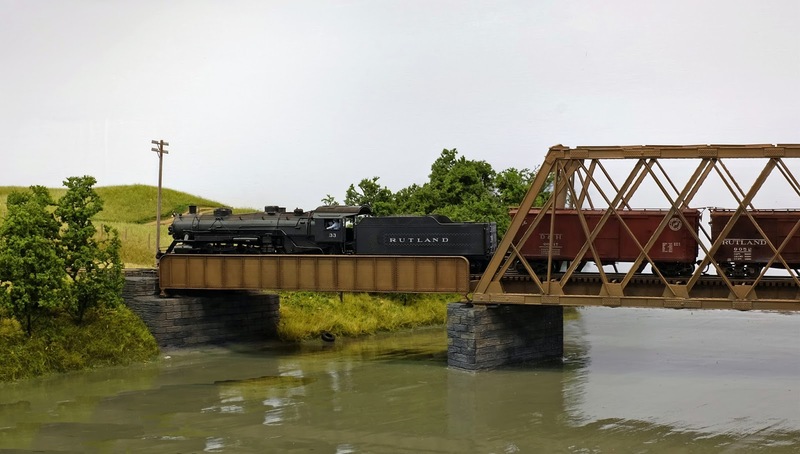 The shallow, muddy Otter Creek is beautifully modeled in this scene at bridge 219, just south of Florence. One can almost hear the rumble and clickety-clack of the northbound local as it rolls by headed to Burlington. Even cows railfan in Vermont, no doubt excited to see some Western Maryland variety coming 'round the bend into Brandon. Right state, wrong railroad, guys! The massive Elias-Lyman Coal Company serves as a backdrop to engine facilities at Burlington. The scratch built replication of the now-demolished structure is spot-on. Mike and Randy enjoy researching and scratch building structures like this creamery at Vergennes. They believe that such rigor is required to successfully depict any prototype and its surroundings. Randy is adamant that proto layouts demand just as much creativity as free-lanced ones because specific scenes and structures can be very difficult to re-create in a given space. Some imagination is required to compress and possibly re-orient a key component, while maintaining an accurate representation like the Sheffield Creamery at Florence. What good are all of those creameries without milk trains to haul product through the rolling fields of the Green Mountain State? Randy is quite proficient with a static grass gun and will offer demonstrations with little prodding. There is no shortage of trees, rivers, creeks, bridges and trestles along the mainline that is being modeled. Each scene is painstakingly textured and weathered to depict the prototype. Code 70 flex-track was used on the upper level while the more forgiving code 83 flex-track was used on the lower one. The rationale was based upon the desire for maximum realism tempered with practicality and viewer proximity. Mike and Randy forced perspective at the end of the peninsula on the upper deck by scratch building a typical Vermont farm in N scale. 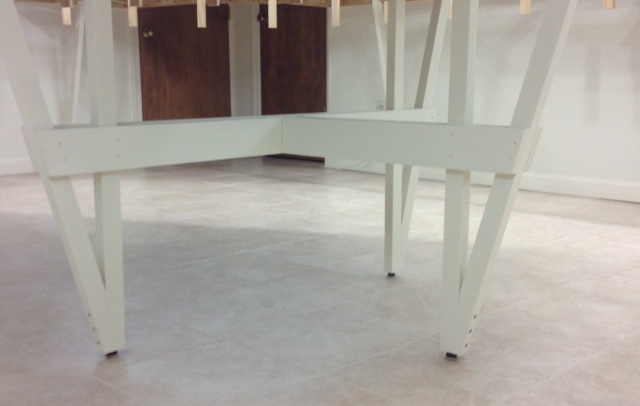 The two decks sit at 40" and 60" respectively above the floor, yielding an overall viewing separation of about 16". To enhance that, the upper deck stays at about 16" deep while the lower one averages about 24" in depth. The northwestern Vermont natives have beautifully depicted their home state and have achieved an awful lot through the years. Randy knows how fortunate he is to have a wing man like Mike. "I am lucky to have a buddy like Sparky... The layout would be nowhere near as nice or interesting without having each other to bounce ideas and concepts off of... This is definitely a joint effort and sometimes he gets overlooked because it is at my house," Randy emphasized. I asked Randy why he and Mike don't promote their work via a blog, website, magazine articles, YouTube, etc. He says that they "prefer to fly under the radar." Well, no problem there. My eight followers won't blow their cover. 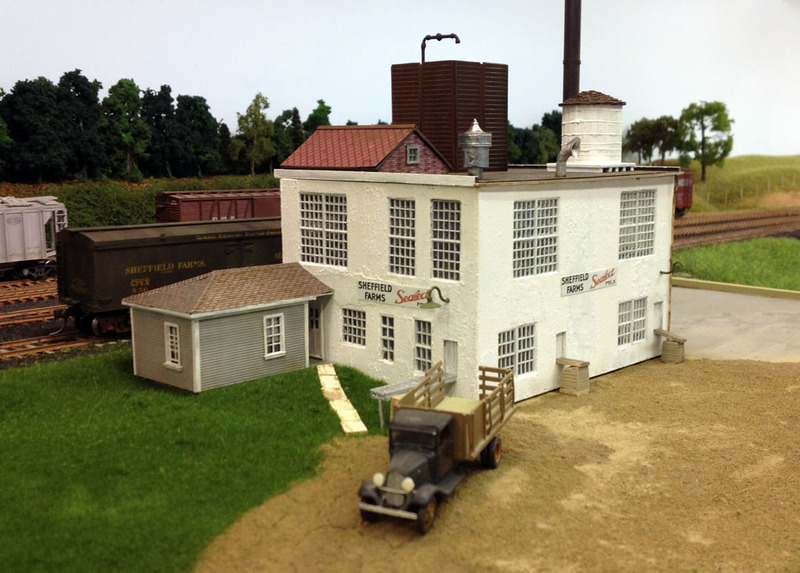 Check out the 2016 issue of Kalmbach's Model Railroad Planning for a feature on the Rutland. Hearty congrats, fellas. Does this look familiar? Regular readers of this blog may recall the April 24th post in which the model of this now-defunct Brandon coal business is pictured. Sadly, this is slated for demolition, but at least it will live on in HO scale on the Rutland Road. Check out "Friendly Fridays... Road Trip" to see the crafted version. 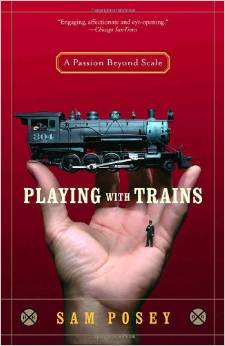 "Playing with trains... and understanding why." In this particular year, ABC Sports assigned former Grand Prix auto racer Sam Posey as its analyst on the three week bicycle race. Not a good omen. Surprisingly, this gearhead did a wonderful job conveying the beauty, ferocity and strategic nuances of this 21 stage spectacle. It was evident that he had done his homework and sincerely seemed captivated by the non-motorized event. Fast forward about ten years. 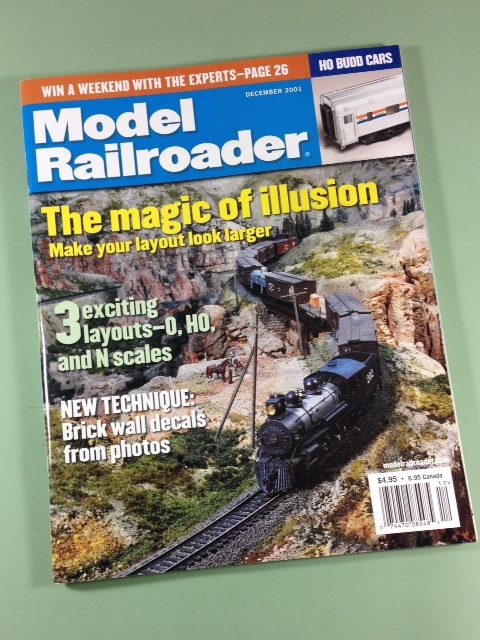 Now who is this Sam Posey with a cover article in Model Railroader? No-one-single-man races at Le Mans, covers the Tour de France and builds a model railroad layout worthy of cover status, right? Wrong! The December 2001 issue featured Sam Posey's home layout in a brilliant, but uncharacteristically abstract article for the magazine. Various tricks were detailed for readers interested in expanding the perception of their layout space, if they could grasp 'the sensory inputs and visual mechanics,' Sam espoused. Dave Frary's photos were easy to understand. Sam's conceptual sketches? ... not so much. I accepted the possibility that he was on an intellectual level that I may not know. Fast forward now to 2005. A new book is out about model railroading... by Sam Posey! Boy, this guy is motivated! In it, he examines participants' passion for the hobby and identifies what he sees as two distinct camps within. One is the 'artiste,' or imagineer as Disney would say, characterized by Malcom Furlow and his fantasy-inspired free-lanced creations. The other is the 'pragmatist,' or operator of prototypically-based layouts, best represented by Tony Koester, he of the Time Table and Train Order gang. The book is a thoughtful analysis of our hobby and makes for a great summer read. Sam tracks his childhood memories of his first layout to his current observations about the many extremes that modelers exhibit. 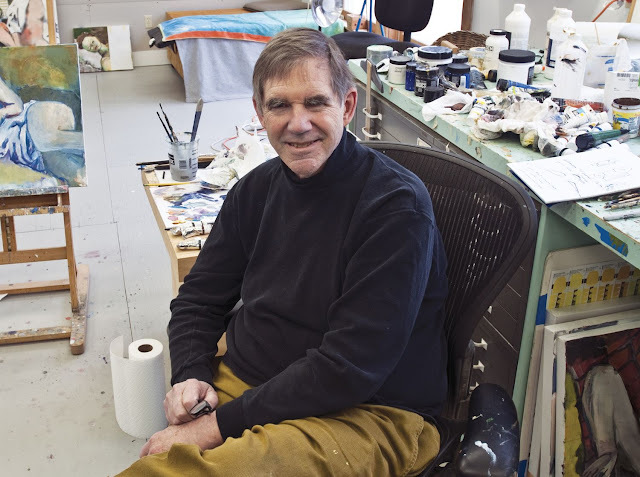 The architectural graduate of the Rhode Island School of Design now spends his days with another love, painting, while unfortunately coping with the effects of Parkinson's Disease. I bet that neither Furlow nor Koester were all-that-willing poster boys for the two extremes, at least not to where either believed in mutual exclusivity. But Posey's examination of the two factions forces the reader to assess his own focus. By holding up two of the best known magazine contributors with very different emphases, readers can evaluate their own belief system against that backdrop. It's a good read, written by a true renaissance man whose mantra has been, 'conceive, believe, achieve,' through a life of distinctly varied personal successes. Next, 'Friendly Fridays' returns featuring a layout whose creators skillfully combined both artistic expression with prototype authenticity to produce a wonderful re-creation of a Vermont railroad. See you then. Did you know? The author's only real weakness as a bicycle racer was that he got winded before anyone else which, as it turns out, tends to be a very real impediment to winning races. "Legs... Really long, lean, beautiful legs!" Now, now... calm down. This isn't that kind of site. But a few of the more conscientious readers of this blog emailed me after I referenced the peninsula's legs in a photo of my helix frame. They say that I never really covered that aspect of construction. Apologies, so here goes. 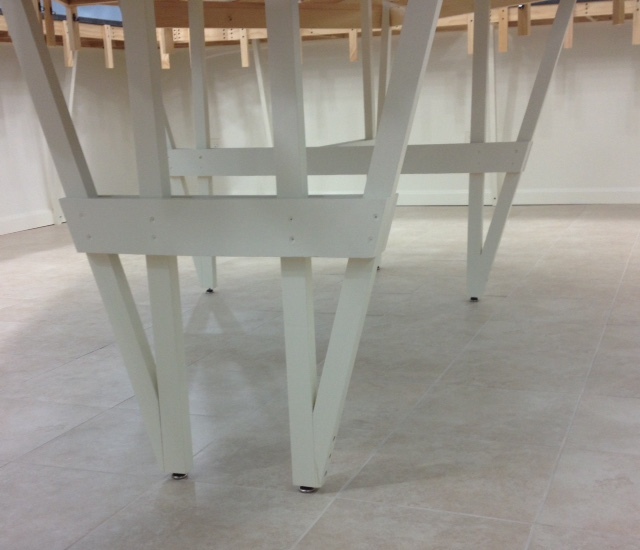 The leg assemblies were based on the struts that supported the around-the-wall bench work and designed to be unobtrusive, but still rock solid. Each assembly utilized a leg and an angled support, but contrary to traditional methods, I reversed the application and placed the angled support in front of the leg to provide greater clearance for wayward feet and to mimic the wall struts. The photos below should explain things better than my words ever could. The end of the peninsula is supported with a tripod of sorts as three leg assemblies are tied together with 1" x 4" horizontal bracing which really tightens everything up significantly. 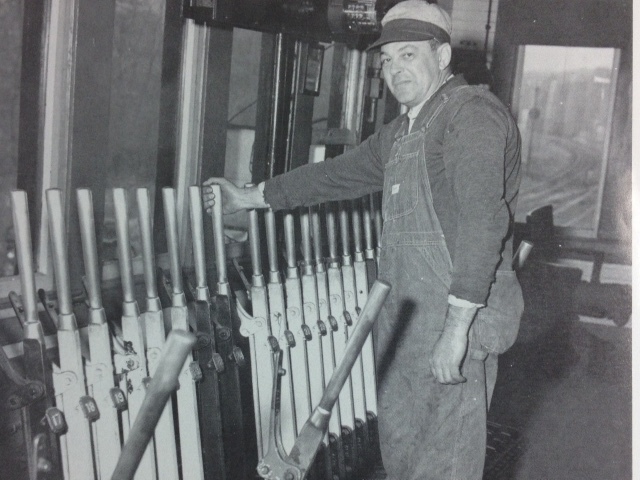 The origin of the leg assembly is evident here when compared to the wall strut at the rear of this photo. The leg assembly supporting the middle of the peninsula is narrower than that at the wider end. Brilliant stuff. Screw-in adjustable feet do the trick for leveling and help minimize the absorption of any floor moisture. All connections are done with simple sheet rock screws and either painted over, or countersunk considerably. The 5/4" x 2" struts are anchored into the wall's baseplate through the molding thereby eliminating the need to locate wall studs that are allegedly every 16", but never really are. I painted the leg assemblies to match the struts and lower walls with the intent to always leave those areas exposed. I am fortunate not to have to store items here, at least for now. I like the clean, uncluttered look and prefer not to have any distractions that will compete with the modeling above. And anyway, I'm not sure when the timing might be right to hit my wife up for 90' of pleated skirting! "Yada, yada, yada... Sykesville, USA"
I have several reasons for being so determined to include the town of Sykesville on my layout's track plan... enough so that I converted to multi-deck to get adequate separation from the other major layout design elements. One is practical. One is artistic. And one is purely emotional, but what the hell. First, it offers multiple operational possibilities with four different industries congested along three spurs. They represent alternative businesses from the preponderance of mill operations on the Old Main Line and provide the opportunity for varied loads and varied rolling stock. That would be nice. Second, the town has more of a horizontal, farmland aesthetic and a smaller scale at trackside from that of my other LDEs which emphasize verticality through the valley terrain and massive mill structures. I would like that variety, too. Third, and perhaps somewhat irrationally, I finally have procured a kit of the Sykesville station that was produced in the early 1990's. I can't let that hard-to-find icon go to waste! This photo from the early 1980's gives some idea as to the condition of the 100 year old station once it was shut down to passenger traffic. 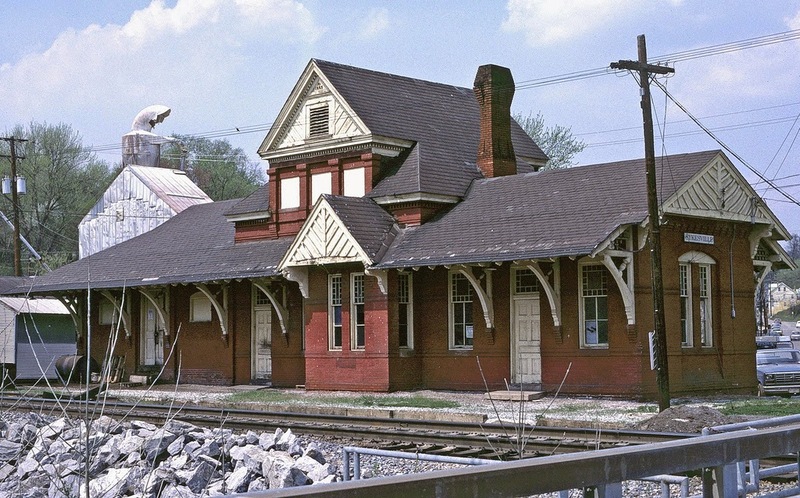 Like most passenger depots along the Old Main Line, it became a freight house for various railroad odds and ends. After an exhaustive, but unsuccessful search for this kit, it dawned on me to contact a local Sykesville hobby shop. Duh! ... Presto, Glenn at the Moose Caboose sold me one from his private stash at the original retail cost of $19.95! The kit is actually nicer, and better detailed, than the photo on the box suggests. 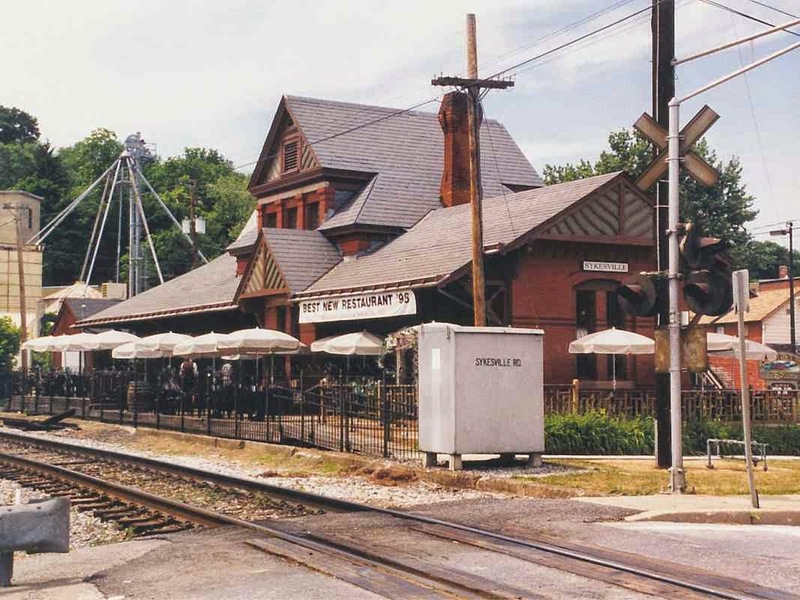 The station is presently a popular restaurant specializing in steaks, burgers, Maryland crab and beer. 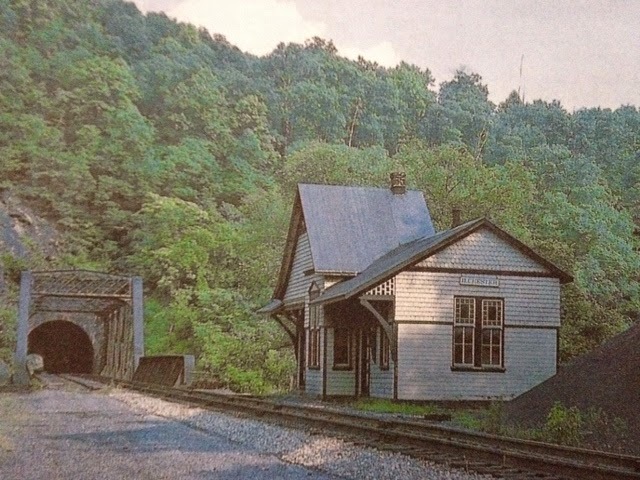 It is known as Baldwin's Station, after well-known B&O architect Francis Baldwin. FYI, Chris Rock filmed a scene here from his 2003 film, Head of State. I missed it. 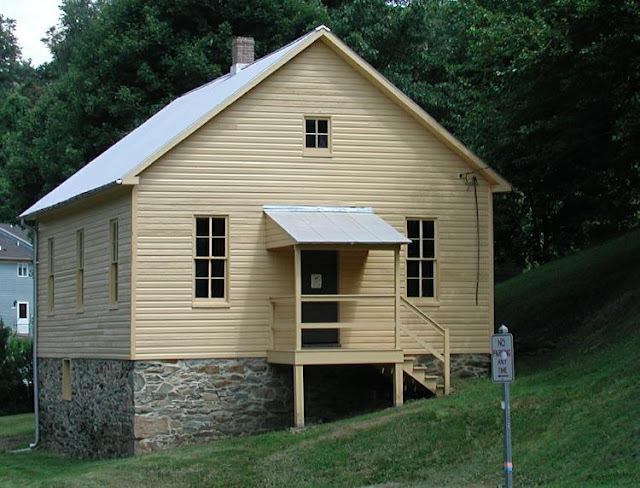 A sweet little structure that sits nearby is the refurbished 'colored schoolhouse.' Built in 1904, it was used to teach black children of the area while segregation existed. It is now a museum and after-school classroom for all of Sykesville's residents. 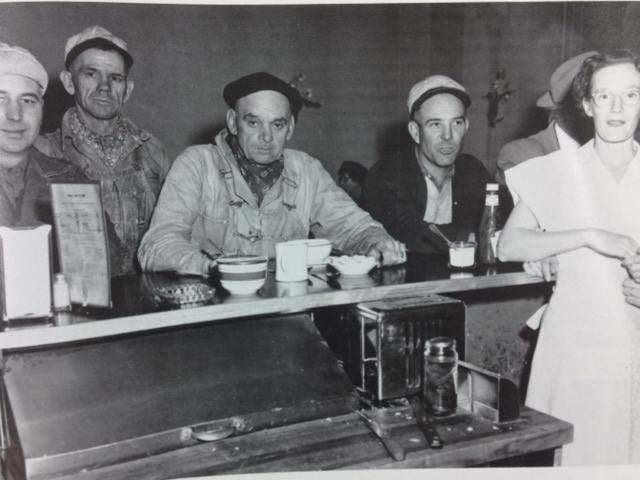 It was in disrepair in 1960. Can't wait to scratch-build this little beauty as a nice background structure. Sykesville is a cute little town with an historic downtown of quaint shops, restaurants and bed and breakfasts, plus a great hobby shop. It's a nice spot to share a weekend with your significant other... a little something for each of you. A weekend getaway? Yeah, that's the ticket. Might be just what I need after the helix fiasco! Hey, maybe my wife would like to come along, too. "That's my story... and I'm sticking to it!" With the transition from single-deck to multi-deck now complete, it was time to embark upon the start of the backbone helix that would link the two levels by way of the finished rec room. On a day in which we were expecting our daughter home from college for a holiday visit, I worked on framing the helix while my wife went food shopping for all items preferred by our fussy little offspring. But soon the barking of Stormy and Duffy told me that Miss Heavy-Foot had arrived, well ahead of our earliest ETA for a drive from Boston. She bounded down the basement stairs to greet her beloved dad, stopped, looked and deadpanned, "Does mom know about this?" "I'm sure she must," I testified. "I mean, we talked about my going to a second deck. Obviously she would know that I had to connect the two levels somehow. And by the way, it's great to see you too, honey!" She was incredulous. "That's all you've got? That's what you're going with?" "Yes. Yes it is," I proclaimed confidently. "That's my story and I'm sticking to it." She shook her head. "Boy, are you in trouble," she said even more confidently. The helix occupies an area that was otherwise not used. The frame measures 6'-3" square and will handle alternate loops of 34" and 28" radii. The legs match those of the peninsula in the main train room. The first and third loops @ 34" radii will be visible and sceniced, separated by about eight inches and linked by a second, hidden loop @ 28" radius. The grade will be just about 2% to provide the necessary 15" of total climbing between decks. A 12" high hardboard mock-up was put in place to depict how (2) layers of 1/8" hardboard would form the backbone helix. The final version will utilize 30" high hardboard to insure a full view block. The exterior 1/8" sheets not only serve as a partial structure for the helix, but also as a backdrop that nicely begins and ends at the room's wall. This overhead shot illustrates the full configuration of the (2) layers of 1/8" hardboard. The eventual 30" high inside layer will actually have an area cut out of about 15" x 30" to allow the hidden criss-crossing loops to enter and exit the backbone. Future wall penetrations are shown using black construction paper. Regular readers of this blog will recognize the sentimental piece of pine that was used as bracing on the interior of the helix. It was explained in the May 20th entry. Ah, but there was a method to my madness. Recognizing early in life that timing was everything, and having that confirmed repeatedly during nearly 30 years of wedded bliss, I had planned for this day carefully. 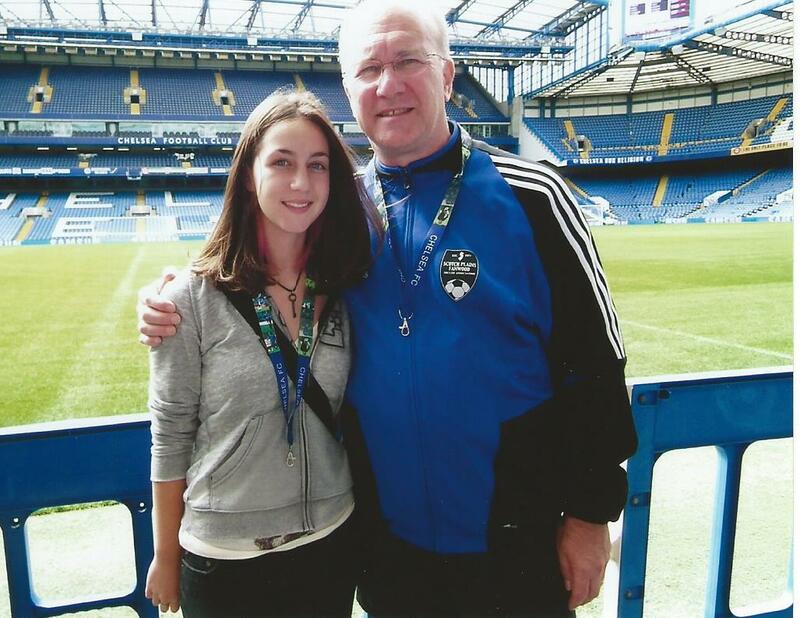 I knew that nothing make's my wife happier than the safe arrival of our daughter for a visit. In those times, I become totally inconsequential, and if I'm inconsequential, then my helix is inconsequential! What best describes the author' strategy in this particular instance? "Linking 13 Great States with the Nation..."
In reviewing the first two months of this blog, I must confess to being somewhat remiss in featuring prototype information. The single biggest reason is that I have been playing catch-up with 2-1/2 years worth of layout construction, albeit changes and all. But I would like to keep something of a balance when checking the category labels on the sidebar. So today, a quick overview of the B&O system. By 1960, Baltimore & Ohio track covered more than 6,000 miles across 13 states in the eastern part of the United States, hence it's slogan, "Linking 13 Great States with the Nation." 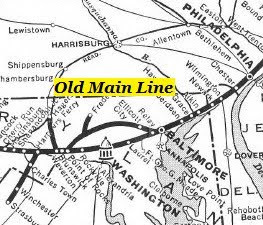 The 63 miles of the Old Main Line represented just about 1% of the total railroad. But times were changing and it was soon that the B&O was joining the Chesapeake & Ohio Railroad in 1963 to expand overall regional capabilities while eliminating duplicate operations. 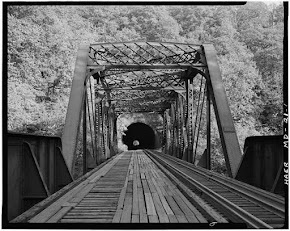 And in 1973, the two were combined with the Western Maryland to form subsidiaries of the Chessie System. The unofficial mergers became official in 1987. The B&O system essentially ran east-west connecting New York with Chicago and St. Louis via Philadelphia, Baltimore and Washington. 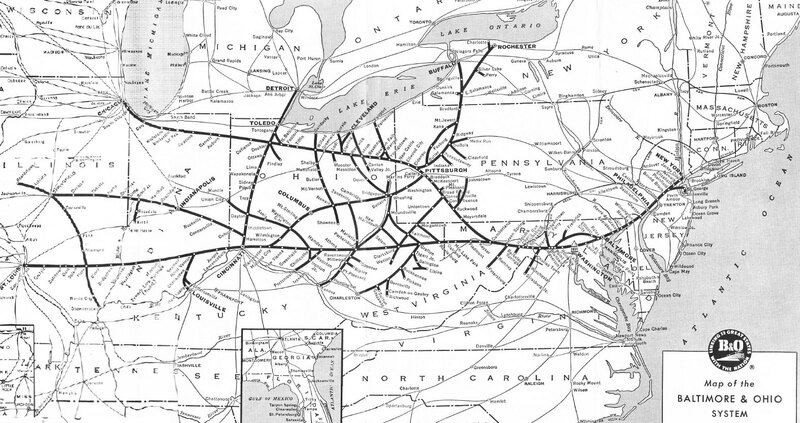 It connected other major cities like Pittsburgh, Cincinnati, Cleveland and Detroit via north-south spurs. A close-up of Maryland shows the 'arched' OML route from Baltimore to Point of Rocks. 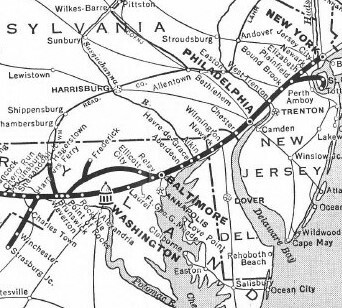 Although this schematic suggests a very direct alternative run from Baltimore through Washington to points west, the actuality was a longer, but more efficient route that was flatter and straighter. In truth, the OML represented the hypotenuse of a basic isosceles triangle while Baltimore to Washington and Washington to Point of Rocks would be the sides of that triangle. Make sense? That's about it for now. We'll forego this week's 'Friendly Fridays,' lest that feature become the dominant label of this blog. I won't be doing 'Wordless Wednesdays,' as that franchise seems pretty well covered by others, but there always is the possibility someday of 'Mindless Mondays' or 'Thoughtless Thursdays,' if and when I have nothing to say. See you in the next few days with more construction and more prototype posts.